Professionals are feeling optimistic as we approach the end of the year, with application rates rising by 15% in October. That’s according to the latest job market statistics from CV-Library, the UK’s leading independent job site. Furthermore, not only were applications on the rise last month, but candidate registrations to CV-Library were also up by 10.4% month-on-month. Interestingly, while salaries have risen quite consistently over the past few months, average pay for new jobs fell by 2.2% in October. Biggins concludes: “The drop in salaries is interesting and could suggest that despite candidates feeling confident, businesses are slowing down and holding back until they begin their recruitment efforts again in the New Year. Are you hiring? 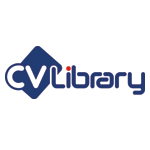 Make the most of this candidate confidence and post your jobs with CV-Library.